Since realizing the vulnerability of my personal finances, where I got my one-and-only checking account with Bank Of America frozen, for no fault of mine, I started considering having a second checking account as a back-up. I wanted a back-up from where I can pay monthly bills and can meet emergency expenses, especially when primary checking account becomes unusable for any reason. This is not second chance checking account, but a second checking account in addition to an existing one. I wanted a safety net around my finance. I wonder what could have happened had my account been frozen for few more days? A late payment on all 4 cards could have resulted in a loss of around 40 points for FICO credit score, or more. Especially since I am planning for a car loan and a mortgage pretty soon, it would have been a big blow. I couldn’t have taken any more risk, and started with my research immediately after the Bank of America incident. Even my wife SMB, who has very little interest in finances, started asking about second checking account. Why we all should a second backup checking account? A second checking account can be your payee account when the primary account become inaccessible, believe me it happens. You can pay your bills from either of the two accounts. If one account is frozen you can rely on the second one to pay your bills on time. This also protects you from negative credit bureau reporting. 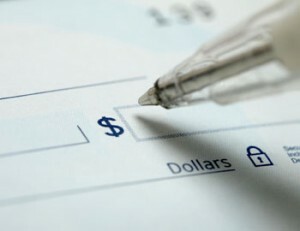 Need of extra cash, your second checking account increases your daily withdrawal limit. You can withdraw cash from both the account on same day, when the need is. Protects your money, god forbid, but if your identity is stolen and money is withdrawn from your checking account, you have an alternative to go to, till your lost identity is recovered. You can avoid fees. These days, after, federal bank regulations are in place, banks have become quiet innovative in finding their ways to charge you some fee or other. 5 successive day’s withdrawal, over limit, return checks, stop payments are to name a few. With two checking account you can avoid these fees, just be a bit cautious while issuing those checks. A little extra emergency fund. Checking accounts are meant for emergency fund and bill pay only. There is no harm in building extra safety net. Tip: it would be beneficial if you do not use debit card and checks that comes with your second checking account. Lock them away in a secured place. You may not want to tap in to this account unless there is a real emergency situation. Now the next big step for me was to pick a second checking account, that one which will give me all freedom I need, a freedom from paying fees, a freedom from minimum balance obligation and a freedom to bank anywhere in the country without bothering about ATM fees much. As far as checking accounts go, you have options. Chase offers a $150 one time incentive which, they carefully mention with smaller font, is taxable at the end of the year. I had Wells Fargo offering in bold, “FREE checking account’. Well, both offers were great. They were free and had nation-wide branch network. But, I was not really looking for a big branch network, I had Bank of America as primary checking account holder, which is largest bank in US, to satisfy my need for a teller access. Luckily around the same time, a paper mailer came in our mailbox about Capital One interest checking account. Capital one is the natural option for me to turn in to, because I was, in fact, more inclined toward an online or internet banking. I prefer everything in its ‘e’ form these days. Below are the reasons why, even after looking for other options, I went with Cap One. * It is fee free, natural! * It offers check books, ATM card, bill pay and online account management. need less to say its FDIC insured. It took around 10 days since I hit that ‘Submit’ button to create online account, that I received the new Debit card and checkbook. Since then, I moved most of the fund lying in BofA account to Capital One, Now I earn a dinner cost every month by the dollar I get from monthly interest. Important: Why I did not go for other banks promoting cash incentives to open a checking account. Even $150 reward from Chase Checking is nothing as compared to the accumulated monthly interest I will earn from Capital one every month. I can surpass $150 within 2 years, with $10K balance in my account. If I keep $5000 for 20 years, I would earn a sum of $6.2K with 1.1% interest rate, now, place it against Chase offer. As per financial experts we should keep $30K in emergency fund always. I do try to keep similar amount in my checking account, a compound Interest Calculator tells me that I will make $38K in 20 years if I continue to maintain $30k balance in Capital One. Credit card companies generally give interest on checking account because cost of fund for them is reduced via retail route, it is easy money for card companies to fund their credit loans this way. A 1.1 % interest rate is very cheap source of fund for them, if you put another 0.2% for administration and marketing costs, cost of fund to card companies is at most 1.3% when they borrow money from you, which is a lot cheaper than borrowing from market at 3% – 4% rate. Capital one allows only one checking account per SSN, per their latest policy. Checking account is not at all an investment option, You should only put your emergency fund and some extra cushion of money for paying monthly bills in your checking account. Rest can be put in higher-return alternative investments. What’s my strategy from now on? I made Capital One my primary checking account and BofA as the secondary account. I also adjusted payroll direct deposit with my employer and bulk of my salary will now go to Capital One and a lesser sum BofA will receive. 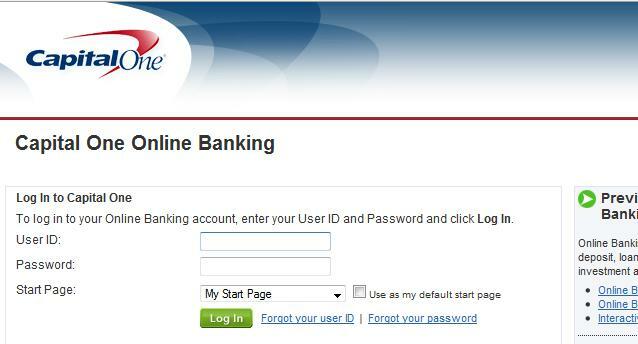 Update 08/2012 – Capital One bank has now drastically reduced the interest rate. Although I am still banking with them, I am eyeing for an alternative checking account, paying better return. But, there are problems with chasing banking rates. Refer to this link for a list of banks offering interest checking accounts and compare the interest rates. If you want to switch your bank account, here’s 9 steps to switching your bank account. Disclaimer: This is not an advertisement for Capital One, do your own research before opening your checking account. My research found Capital One is most suited to my need. Why wouldn’t you get a reward checking account where you could get say 3-4% interest if you meet the qualifications and say 1% if you don’t (the equivalent of what capital one is giving you). Seems like you’d get more bang for your buck. In this market, I wonder where are you getting 3-4% rate, do let us know, it will be helpful for our readers. This is a well written post, if only just about all bloggers provided the same worth of content material as you, the internet will be a far better place. Make sure you continue the good work! Capital One’s High Yield Free Checking account requires a minimum balance of $5,000 combined monthly balance across checking, savings, Money Market, Cd and brokerage accounts. I am an umemployed college student who doesn’t have that much money. Capital one may not be a wise choice for poor college students like me. May I suggest PNC bank, ING Direct, PerkStreet Financial, Ally Bank or USAA instead? I recently started a Capital 360 account and am quite satisfied.